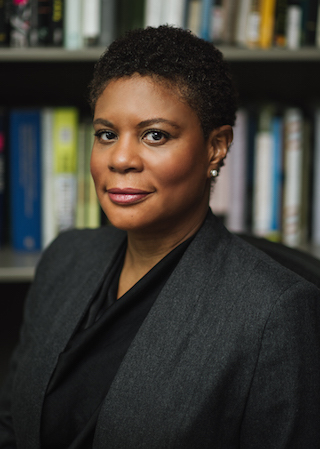 Alondra Nelson is the fourteenth president of the Social Science Research Council. Widely known for her research on the intersection of science, politics, and race, she is professor of sociology at Columbia University. At Columbia, she served as the inaugural dean of social science for the Faculty of Arts and Sciences. As dean, she led the first strategic planning process for the social sciences at Columbia, working with faculty to set long-term research priorities. Nelson began her academic career on the faculty of Yale University, where she received the Poorvu Award for interdisciplinary teaching excellence. Nelson has published award-winning and acclaimed books exploring the junction of science, technology, medicine, and social inequality, including The Social Life of DNA: Race, Reparations, and Reconciliation after the Genome; Body and Soul: The Black Panther Party and the Fight against Medical Discrimination; Genetics and the Unsettled Past: The Collision of DNA, Race and History (with Keith Wailoo and Catherine Lee); and Technicolor: Race, Technology and Everyday Life (with Thuy Linh Tu). She is currently completing a book on science and technology policy in the Obama administration. Nelson’s research has been supported by the Ford Foundation, the Andrew W. Mellon Foundation, and the National Science Foundation. She has been a visiting fellow of the Max Planck Institute for the History of Science, the BIOS Centre at the London School of Economics, the Bavarian-American Academy, the Bayreuth Academy of Advanced African Studies, and the W.E.B. Du Bois Institute for African and African American Research at Harvard University. Nelson is chair of the American Sociological Association Section on Science, Knowledge, and Technology. She is an elected member of the Sociological Research Association and an elected fellow of the American Academy of Political and Social Science and the Hastings Center. She serves on the Board of Directors of the Data and Society Research Institute, the Teagle Foundation, and the Center for Research Libraries, as well as the board for African American programs at Monticello. Nelson also is a member of the Board of Directors of the Brotherhood/Sister Sol, a Harlem-based youth development organization. Raised in Southern California, Nelson received her BA from the University of California, San Diego, where she was elected to Phi Beta Kappa. She earned her PhD from New York University in 2003. SSRC president Alondra Nelson has been elected as a Fellow of The Hastings Center.